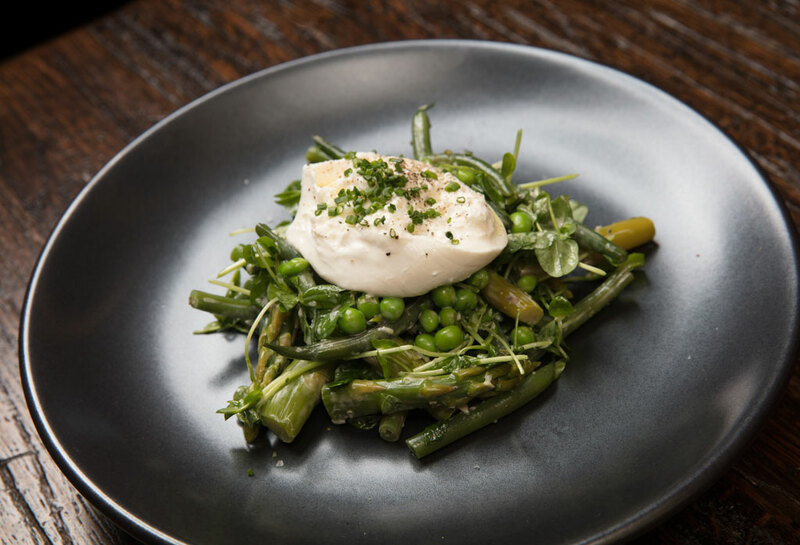 The Hutch on Avondale, in moving from French style to American progressive, retains its seasonal side dishes. From its rich history as Coach House, The Hutch on Avondale transformed in 2016 into a new, fabulously quirky eatery. 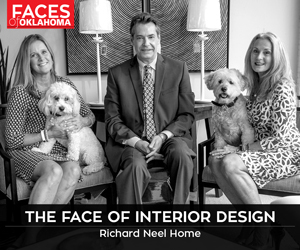 In its previous life under chef Kurt Fleischfresser, the Nichols Hills restaurant was an Oklahoma City favorite. 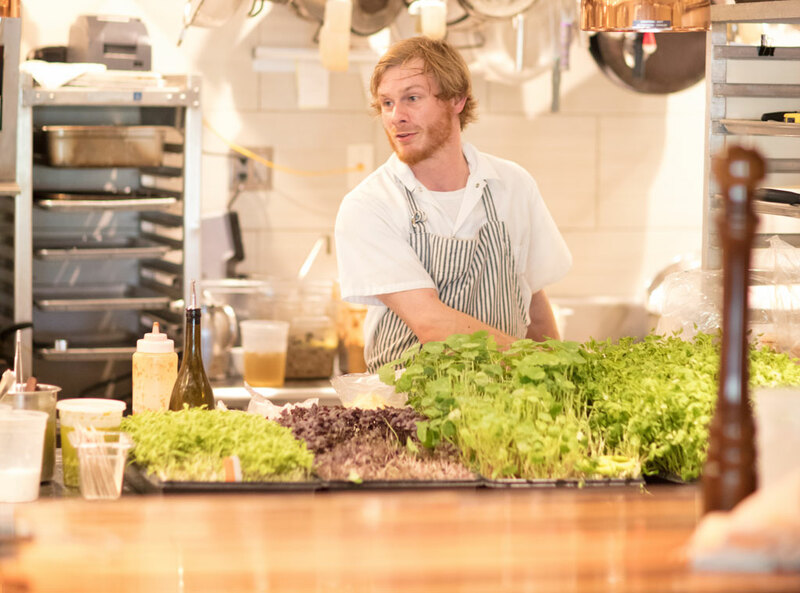 Now son Kyle Fleischfresser has taken the managerial reins and moved toward progressive, American cuisine – with some experimentation – while retaining an emphasis on locally sourced ingredients. Banquette tables in natural wood beckon diners, as does the new bar extending across the comfortable space and featuring the practical touch of handbag hooks and USB cable plugs. This is Fleischfresser’s mixologist domain; when not managing the restaurant’s business, he’s often found crafting new cocktails or chatting with patrons who have scheduled a tasting menu. There are seats at a window overlooking the kitchen for a Chef’s Bar experience, which may require a reservation for a seven-course meal. But a night out doesn’t have to include a tete-a-tete with the chef to be memorable. An open window into the kitchen allows for people to see the food being made. Among patron favorites are the smoked salmon, from-scratch biscuits and, more recently, an inspired concoction of house buffalo Sriracha sauce paired with “chicken lollies, where we scrape the meat up the bone so it is one big bite at the end,” Fleischfresser says. All sauces and dressings are made from scratch, and this hands-on aesthetic extends to desserts, with ice cream, chocolate cake and crème brulee among the choices.